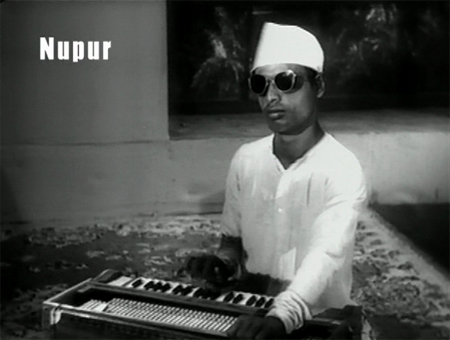 Well, this is the earliest Hindi film yet that I’ve seen. 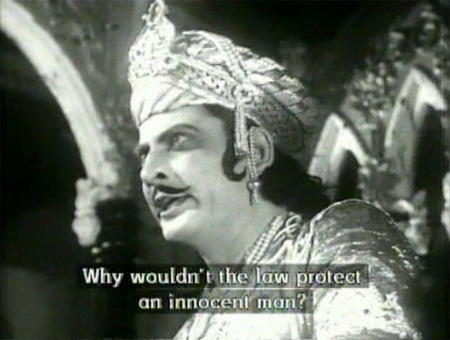 It’s the third in a trilogy of spectacularly mounted historicals made by Sohrab Modi: Pukar (1939), Sikander (1941, which made Prithviraj Kapoor a film star) and then this. Since it doesn’t have subtitles, I did some research so I’d have some clue as to what was happening. This is a brief synopsis cobbled together from different sites. Two neighboring kings, Munj and Tailap, are rivals. Munj is kind and just, and Tailap is bad. Tailap has a grumpy sister named Mrinalvati, who bosses everyone around. Another king by the name of Bhillam joins forces with Tailap and together they defeat Munj and take him prisoner. 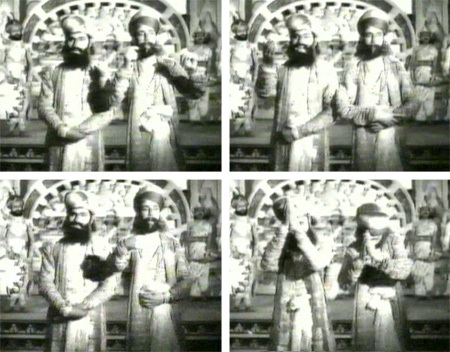 Mrinalvati attempts to humiliate Munj publicly but ends up falling in love with him. 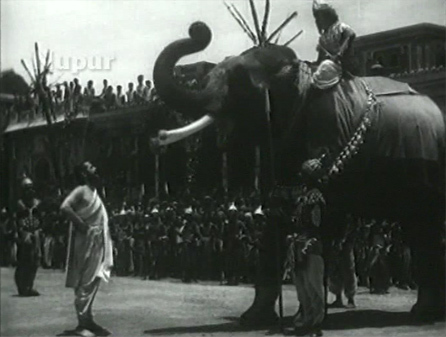 When Tailap discovers that they plan to run away together, he sentences Munj to be trampled to death by elephant.